IT WAS A tough year for optimism until citizen Mary Strey of Wisconsin called 911 about two weeks ago. 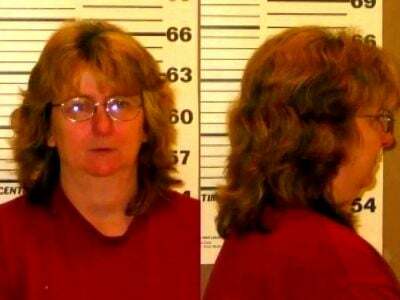 She told the dispatcher that someone terribly drunk was driving down the county road she was on. The dispatcher tried to get a bead on the location, then asked where Mary was relative to this driver. Was she behind them? No, she said, "I am them." "You am them?" he marveled. Mary was making a citizen's arrest. It just happened that she was the one she wanted arrested. Mark Morris is a little like Mary Strey, although the laws he breaks are the rules of 20th-century dance, not the highway, and where we meet him isn't on the shoulder of the road, it's in the theater. Also, as drunkenly campy as "The Hard Nut" first struck some when it premiered here, Morris' holiday romp, returning to Cal Performances for two weeks in December, is an honest remake of the Nutcracker with a core of modern, cockeyed optimism. Nutcrackers are lavish, and this is a big, blowzy modern dance-inflected work replete with libation-fueled revelry and louche '70s dancing. It also revamps the classic tale in a way that steers closer to the strange story within a story of the ETA Hoffman original, with a result that is lovable and naughty. And though this is no sing-along dance-along Nutcracker, Morris lets us feel that we would be frolicking on stage alongside the tipsy Stahlbaums and dizzy Snowflakes with their sno-cone heads if only he'd give us the signal to leap from our theater seats. DETAILS: 8 p.m. Dec 11-13 and 17-20, Zellerbach Hall, Bancroft Way, Berkeley; $36-$62; 510-642-9988, www.calperformances.org. Yerba Buena Center for the Arts continues its provocative programming this month with the upcoming Left Coast Leaning Festival, an exciting collaboration among the likes of neoclassicist Amy Sweiwert and hip-hop postmodernist Rennie Harris, and others. Curated by spoken-word maverick Marc Bamuthi Joseph, the event is designed to create a collage of storytelling, music and urban dance that signals seismic shifts in the culture already under way in California. DETAILS: 8 p.m. Thursday-Dec. 5, YBCA Forum Space, 701 Mission St., at Third; $35 festival pass, $10 for ages 24 and younger; 415-978-2787, www.ybca.org. For a fee, donors can climb into a costume and join the dancers on stage. DETAILS: 4 p.m. Dec. 12 and 19, 2 p.m. Dec. 13 and 20, San Mateo Performing Arts Center, 600 N. Delaware St., San Mateo, 650-762- 0258; 11 a.m. Dec. 24, 2 and 7:30 p.m. Dec. 26, 2 p.m. Dec. 27, Paramount Theatre, 2025 Broadway, Oakland, 510-465-6400, www.paramounttheater.com. ; $50-$15 general, $40-$12 children 12 and younger (20 percent discount with food donation), $37.50-$11.25 seniors. 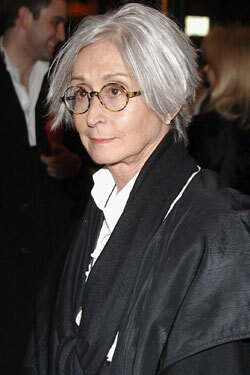 Twyla Tharp, the Alice Waters of dance, is best known for putting high and low fare together in the same event. With an optimism about the world's capacity for change, she stormed the gilded halls of ballet's opera houses and steered her way into the heavily male realm of commercial theater to create revolutionary dance mash-ups blending classical and club dance. Next month, she appears in Words on Dance to discuss her latest book, "The Collaborative Habit: Life Lessons for Working Together." Her newest volume is an homage to the art of working with others as much as it is to the famous folks she's worked with over the years, stars such as Mikhail Baryshnikov, Milos Forman and Bob Dylan. But Tharp is a realist even more than an optimist. She understands that while collaboration may good for the soul, playing well with others is essential to get wherever one hungers to go. DETAILS: 7:30 p.m. Dec. 8, Herbst Theatre, 410 Van Ness Ave., San Francisco; $25, $10 off regular price for F. Dancers' Group members; 415-392-4400, cityboxoffice.com. It takes so much optimism to run a minuscule space in a miserable economy when so many storefronts are emptying like bird nests in autumn. 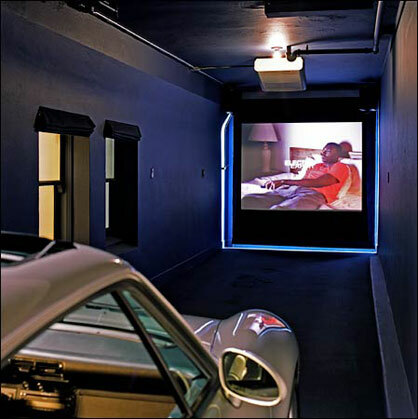 Yet that's what Joe Landini dares to do at the Garage in San Francisco, a tiny black box theater with a red door. The venue hosts a lineup of interesting up-and-coming Bay Area performance artists in December, and if you're looking for the unsung or experimental, this is a good place to start. In the middle of the month the Garage spotlights Field All-Stars, including Megan Nicely, Dan Carbone and Jen Marie. They are followed by a choreography showcase, "raw & uncut," with Liz Boubion; the group BodiGram in "For the Love of the Game! "; and FACT/SF, Charles Slender's year-old company founded with a group of collaborators, in "The Consumption Series, Part III." The run concludes with "Veils and Apparitions," two evenings of intermedia work with Janet and Raja Das, Amy Lewis, Sonsherée Giles, Agnes Szelag and Caroline Penward. DETAILS: 8 p.m. Dec. 12, Field All Stars, $10-20; 8 p.m. Dec. 15-16 raw & uncut, $10-20; 8 p.m. Dec. 18-19, Veils and Apparitions $10-15, The Garage, 975 Howard St., SF. 415-885-4006. www.975howard.com. The King of the Nuts is San Francisco Ballet's Nutcracker, and despite its detractors, this beautifully revamped holiday spectacle is held together as few are by the comprehensible story of a girl's transformation from childhood to young adulthood, set in San Francisco early in the 20th century. It's a story that dashes forward breathlessly, magically, as spellbinding as a sleigh ride in moonlight. DETAILS: 7 p.m. Dec. 8-27, 2 p.m. Dec. 11-13, 17-23 and 26-27, 11 a.m. Dec. 24, San Francisco Opera House War Memorial House, 301 Van Ness Ave., San Francisco; $18-$236; 415-865-2000, sfbtickets@sfballet.org.